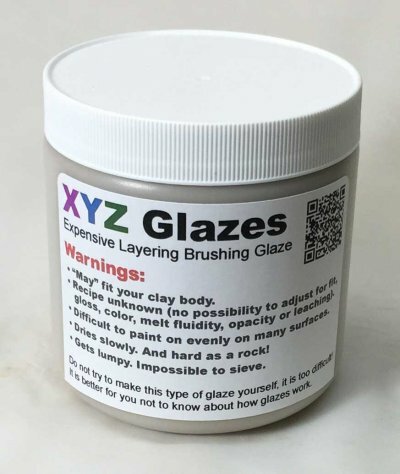 Probably you are reading this because you are want to mix your own ceramic glazes. Either to save money. Or get better control. Or make better ware. Or be better able to deal with production problems. There is a prevailing culture in pottery, hobby ceramics and even industry of getting by with the least knowledge possible. At one extreme people buy tiny, very expensive jars of glaze and paint them on. Trusting that these will fit their bodies (not craze or shiver) and fire on them the way the glossy ads show them to. At the other extreme they embark on mixing recipes found on Pinterest or Facebook, hoping they will somehow magically work. You may have realized by now that this site is dedicated to fighting these cultures (which we personify as "the glaze dragon"). It is time to understand glazes. Here are some suggestions. Find good glossy, matte and fluid glossy base recipes in your temperature range. Work with these and adjust them to fit your clay. Substitute your materials and fix other issues (e.g. poor suspension or application properties, crazing or shivering, excessive drying shrinkage, micro-bubbling, crystallization). Then add colorants, opacifiers and variegators. Examples of bases we developed this way are G2934, G2926B and G3806C (links below or findable on google). Be slow to bring a new recipe into your operation unless you understand it. Could you add its colorants, opacifiers and variegators to a base recipe you already have? Learn more about the materials you are using. Are they there to make the glaze melt? To color it? To suspend it in the bucket? To variegate the color or opacify the glass? 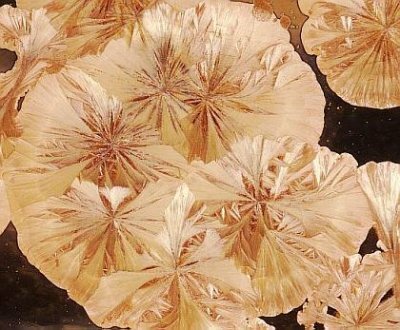 To make it crystallize on firing? To matte it? Have they been well chosen to source the chemistry needed? Etc. Learn about how to make a slurry suspend well in the bucket (by controlling its specific gravity and thixotropy). This is super important, the vast majority of potters do not know how to do it. The rheological properties (specific gravity, viscosity, thixotropy) of almost any glaze slurry can be fine-tuned so that it will go on evenly without drips and dry quickly and to the right thickness on dense or porous bisque ware. Practice spotting the 'mechanisms' in recipes. What materials in the recipe make them fire the way they do? When you see recipes, mentally disassemble them into their base, additions and mechanisms. Although you are not a chemist you likely realize that fired glaze properties like gloss, color, thermal expansion, hardness, melting temperature, etc. are most directly related to the chemistry. What exactly do we mean by "glaze chemistry"? It means simply that you view your glazes as made of oxides like SiO2, Al2O3, Na2O, etc. and your materials as suppliers of them. The oxide makeup of a glaze is called a "formula". There are about 10 oxides to learn about, your raw materials contribute them. 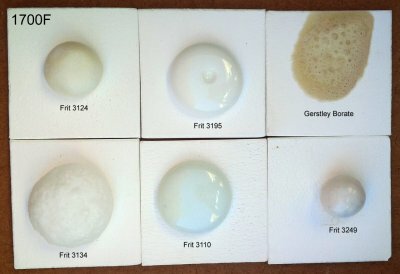 Using glaze chemistry (e.g. an account at insight-live.com) you can calculate the formula of a recipe. Learn to be demanding. Do no accept naked (undocumented) recipes. Do not accept problems like crazing, scratching, leaching, micro-bubble clouding, settling in the bucket. Learn to fix them. Don't work with temperamental glazes (e.g. rutile blues, high Gerstley Borate jellies) unless you understand the reason to tolerate them. Do not accept high reject rates. Do not waste time, be willing to work. Do lots of testing. Most of your tests should be smaller changes to recipes you have so you can learn something. Do not be afraid of failure, it teaches us. Document. Document your failures. With good pictures. 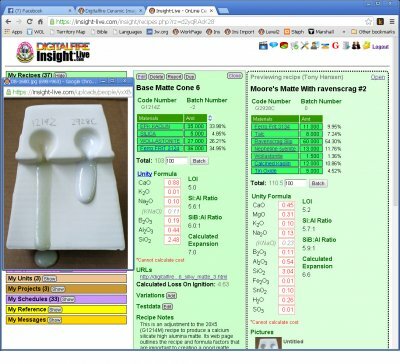 Use an account at https://insight-live.com to record every recipe you make, every test firing, every project. You will find the ability to see recipes side-by-side with pictures, data, notes and chemistry invaluable in determining what changes to make next. Your account will also immerse you in reference material so you will be learning constantly. Watch my timeline at https://digitalfire.com and at Facebook and Twitter (links below). If you are signed up at insight-live.com you will get a monthly technical tip email from me every month. 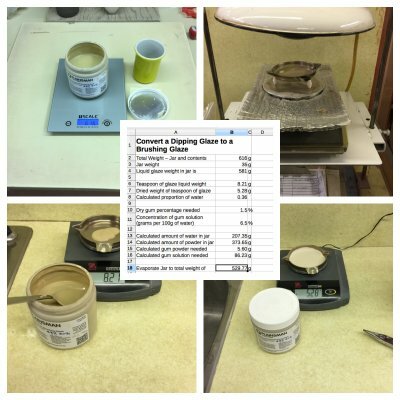 Are you concerned about producing safe, non-leaching glazes? It is about balance in the chemistry, not saturating it with heavy metals, about firing in the way appropriate for the recipe, about liner glazing. About knowing how to adjust. It’s not rocket science. 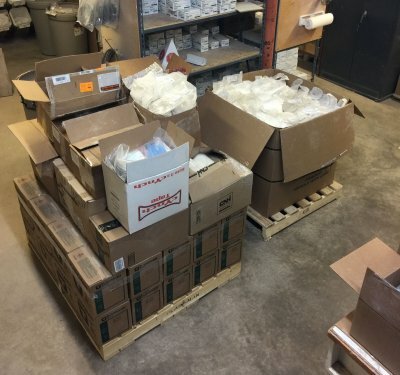 It’s about not trusting anything with significant percentages of colorants (or things like barium carbonate, lithium carbonate), even commercial glazes, without doing simple leach testing. Just get started taking the new approaches mentioned here and you will become opinionated about leaching in no time! Are you at a school, art center or club? Does your school have a few recipes that are treated as if they were "dropped from heaven"? There is plenty of information here to help you improve them. Learn how to determine if you need to approach the problem on one or more of the material, process or chemistry levels. It is also likely the some are leaching metals. And very likely crazing. There is a good chance that every single bucket of glaze is improperly mixed (so it does not suspend well, does not go on evenly or dry quickly without cracks). Read the article on Thixotropy (link below). If you can turn those rock-hard-on-the-bottom buckets into the most silky and easy-to-use glaze they have ever seen you will be a hero! If you teach a class first learn to teach your students to understand materials and the physical properties they bring to the glaze slurry. Then introduce the concept of chemistry, how the materials source it to the glaze recipe and how it is the most important a determinant of fired glaze properties. Then teach them about rheology. Learn to make your own jars of paintable glazes. These are gummed and desirable in many situations (and much less expensive for bright colors). Are you at a factory? Do consultants or supplier reps visit your company and mess about with your glazes but never stay long enough to explain anything or to really understand your issues? Learn the chemistry and physics yourself and take control. Wait for a crisis with a glaze, the solution to which is being mismanaged by narrow material-level or supplier-dependent thinking. Solve it using chemistry. Or thorough and documented testing (use the Trouble-Shooting section here for ideas). Does your company or organization have far too many different glaze recipes and stock too many materials? 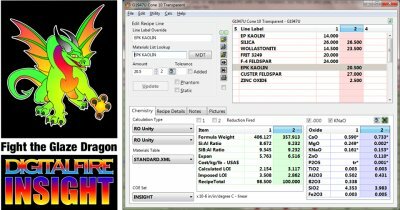 Learn to view materials as oxide suppliers. Study what each oxide does. Review the info here on how to substitute different materials yet supply the same oxides. 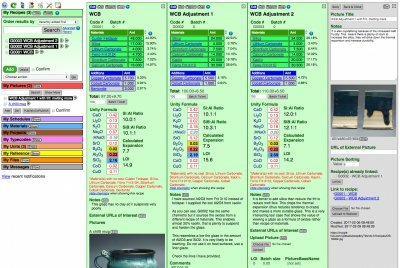 Read about base glazes and how to identify mechanisms so you can adopt a base-with-variations approach. In the end you will have fewer recipes. If you use commercial glazes and either cannot justify the expense anymore or cannot solve problems for lack of content information, then learn about base glazes and develop or adjust one to fit your body. Then experiment with stain and opacifier additions and study chemistry issues surrounding colors that do not develop as expected. The information in the articles, oxides, materials and glossary sections here. 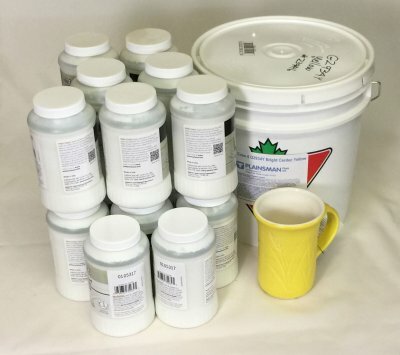 If you are new to the concept of glaze chemistry start with an article on one of our base glaze recipes and learn why each material is there. Then learn to appreciate the value of having a base glaze that is adjustable, has the right gloss and melting temperature, has good application properties, fits your clay body, etc. Get an account at https://insight-live.com and start entering the recipes you know and use already. Learn how to make it show the chemistry and compare them side-by-side. Document everything you know and learn about them. With pictures. If you are going to make ceramic ware, put good glazes on it. Remember, a glaze is a lot more than one that just has a pleasing fired appearance. There is no one-glaze-that-works-for-everyone. We cater to people that want to start out right, or have been kicked around long enough that they are ready to learn why, they want to "understand". You will never likely get the glazes you really want until you formulate or adapt them yourself. Dip-glazing vs. brush-on glazing: Which gives the more even surface? This is a clear glaze (G2931K) with 10% purple stain (Mason 6385). The mugs are cone 03 porcelain (Zero3). 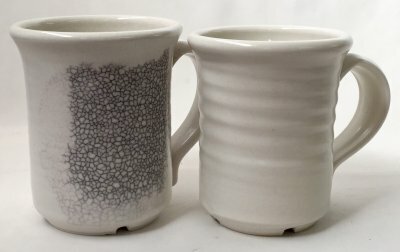 The mug on the left was dipped (at the bisque stage) into a slurry of the glaze (having an appropriate specific gravity and thixotropy). The glaze dried in seconds. The one on the right was painted on (two layers). Like any paint-on glaze, it contains 1% CMC Gum. Each layer required several minutes of application time and fifteen minutes of drying time. 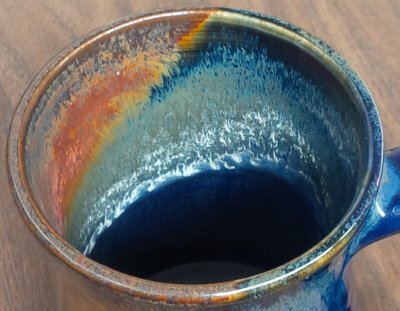 Do your functional glazes do this? Fix them. Now. 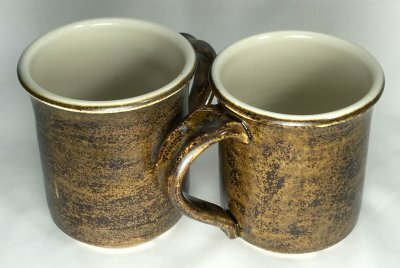 These cone 6 porcelain mugs have glossy liner glazes and matte outers: VC71 (left) crazes, G2934 does not (it is highlighted using a felt marker and solvent). Crazing, while appropriate on non-functional ware, is unsanitary and severely weakens the ware (up to 300%). If your ware develops this your customers will bring it back for replacement. What will you do? The thermal expansion of VC71 is alot higher. It is a product of the chemistry (in this case, high sodium and low alumina). No change in firing will fix this, the body and glaze are not expansion compatible. Period. The fix: Change bodies and start all over. Use another glaze. Or, adjust this recipe to reduce its thermal expansion. 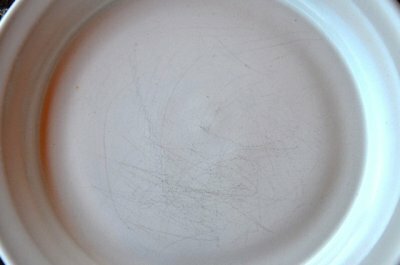 Brush-on commercial pottery glazes are perfect? Not quite! Paint-on glazes are great sometimes. But they are even greater if you know the recipe, then you can make more and make a dipping version for all the times when that is the better way to apply. Why is that better? Because you have a huge advantage over a glaze manufacturer: You already have clear glossy and matte base recipes that fit and work on your clay body. You can add the stains and opacifiers to these (with 1% gum to make them paintable) and make your own jars. Don't have base recipes??? Let's get started developing them with an account at insight-live.com (and the know-how you will find there)! 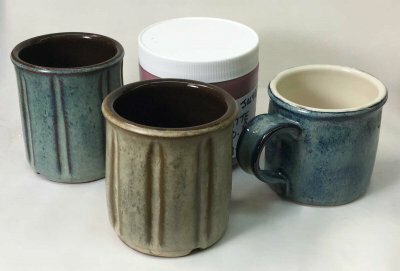 These are cone 6 Alberta Slip recipes that have been brushed onto the outsides of these mugs (three coats). 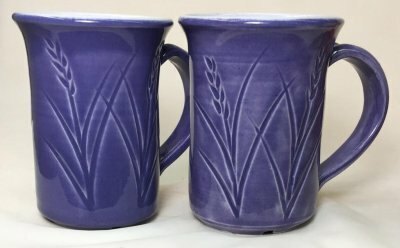 Recipes are GA6C Rutile Blue on the outside of the left mug, GA6F Alberta Slip Oatmeal on the outside of the center mug and GA6F Oatmeal over G2926B black on the outside of the right mug). One-pint jars were made using 500g of glaze powder, 75g of Laguna CMC gum solution (equivalent to 1 gram gum per 100 glaze powder) and 280g of water. Using a good mixer you can produce a silky smooth slurry of 1.6 specific gravity, it works just like the commercial bottled glazes. Amazingly, the presence of the gum also makes it unnecessary to calcine the Alberta Slip.